‘2017 is the Wales Year of Legends; a country with an ancient landscape, with thousands of years of history & myth – a land of majestic mountains and mighty skies, fringed with a beautiful coastline’. All the entries will be displayed in the Bay Gallery, Colwyn Bay until August. 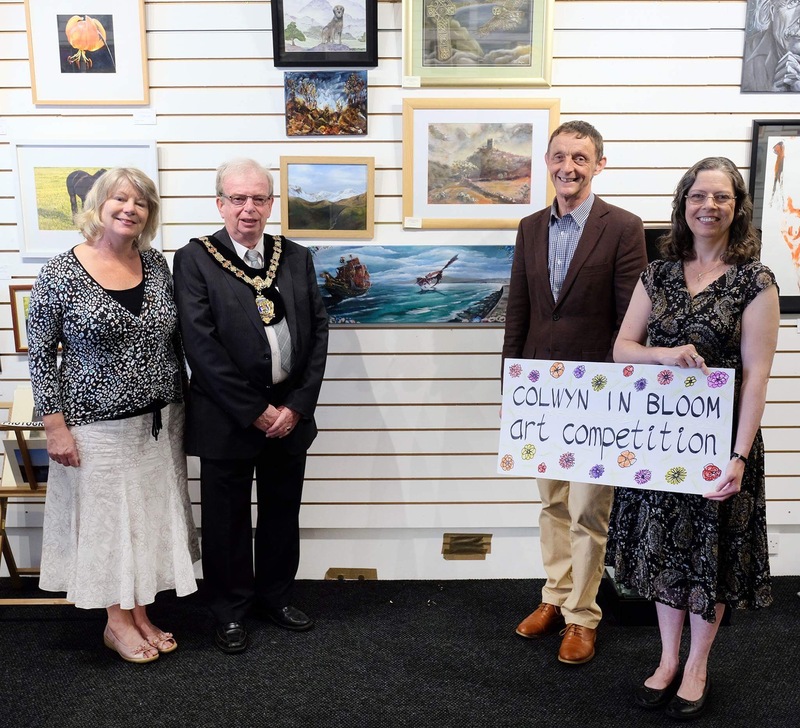 Pictured from left to right: Ingrid Lewis, Chair of Colwyn in Bloom Committee; the Mayor, Cllr Jeff Pearson; 1st placed winner Martyn Haley; and Mrs Tony Lewis, wife of the 3rd place winner.